Alternatively, you can open an existing illustration. Skip to Step 3 if you’re working with an existing illustration. 2If you’re starting from a new page, create an object to work with. 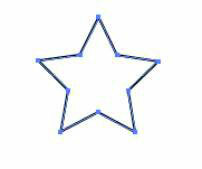 For example, click and hold down the Rectangle tool to select the Star tool. 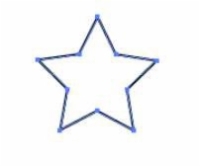 Then click and drag from the upper left to the lower right to create a star shape. Exact size doesn’t matter, but make it large enough that you can see it. To start over, choose Edit→Undo or press Ctrl+Z (Windows) or Cmd+Z (Mac). As a default, all shapes start with a black stroke and a white fill. (See the figure.) 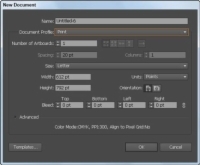 If yours isn’t black and white, press D, which changes the selected object to the default colors. You can see the width and height of your object while you click and drag. If you don’t want those values to display, choose Edit→Preferences→Smart Guides (Windows) or Illustrator→Preferences→Smart Guides (Mac) and deselect the Measurement Labels check box. 3Using the Selection tool, click the object to make sure it’s active. All anchor points are solid, indicating that they’re all active. (See the figure.) 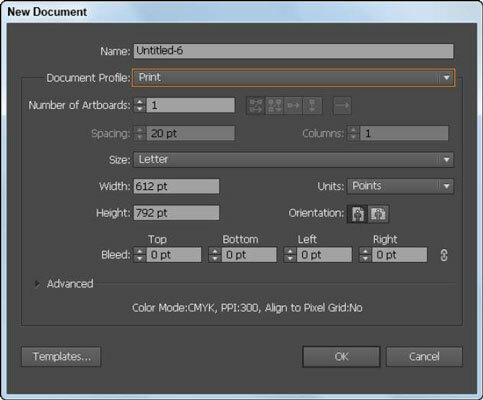 You see, as a default, many additional points you can use to transform your selected object. 4Click and drag the shape to another location. All anchor points travel together. Choose Select→Deselect; Ctrl+click (Windows) or Cmd-click (Mac) anywhere on the page; or use the keyboard shortcut Ctrl+Shift+A (Windows) or Cmd+Shift+A (Mac). To select an object behind another, use the Select-behind keyboard shortcut. Simply place the cursor over the area where you know that the object (to be selected) is located and press Ctrl+click (Windows) or Cmd+click (Mac OS).